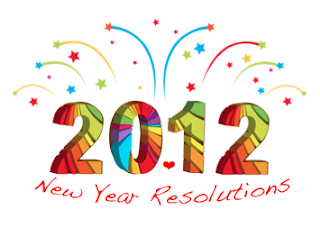 I'm joining this linky party with a bit of hesitation, only because I STINK at resolutions. But, I've loved all of the new friends from yesterday's party, so here goes. By the way: I may break the cardinal blogging rule and post twice today because I've been wanting to blog about my snowman glyphs...sorry in advance if I do. 1. Create my own OLW~One Little Word~ (see this post from Oh' Boy 4th Grade to learn more). 1. Work harder at learning how to make Guided Reading work. 2. Find more ways to use my SmartBoard more efficiently. (Not use it as a glorified overhead projector). 3.Complain less...I seem to get caught up with all of the negativity. Maybe my OLW needs to be optimism. 1. Post at least 3-4 posts a week that include helpful freebies for teachers. I am guilty of the glorified projector too! I am hoping to get a lot of things accomplished with my interactive board (we are too cheap for SMART boards) this summer when I have some extra time. Great goals!!! I'm your newest follower! So happy I just found your blog! I totally stink at keeping my resolutions, too ... planning on keeping mine short and sweet this year so I may have a chance of sticking with it.